Every month, there are annual sales. The very best time to buy something is when it goes on sale. You can pick up some great stuff without having to spend much money. If you wait to buy it later – it will cost more money than it does now. 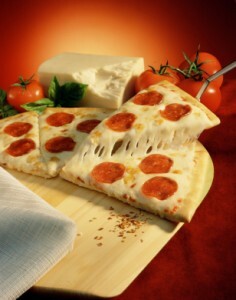 October is National Pizza Month. This means you are likely to find coupons and discounts from all of the big chain pizza franchises. There may even be a deal on delivery. The best thing about it is that your family can have pizza night in October for less than it would cost any other month. Stores tend to purchase too much denim for their Back To School sales. By October, the stores realize that they have too much stock. So, they have denim sales. It’s great for parents who want to pick up a few more pairs of jeans for their kids. It is also a good opportunity for people who need to buy new jeans to replace some worn out ones. Those who live in areas where there are plenty of children are going to need to buy some Halloween candy. It tends to get less expensive the closer we get to Halloween. You might be able to knock down the price a little more by using your loyalty card. The best time to buy Halloween candy is the day after Halloween. Pick up the type of candy that your family enjoys, or bring some in to work to share with co-workers. Do you need to replace your patio furniture? The best time to do that is in October. Patio furniture takes up a lot of space in stores, and they generally don’t want to store summer items all year long. Patio furniture is on sale now. Many people find that they have accumulated too much stuff, and that they have no place to put it. This is when people start cramming their garage full of the overflow of items. 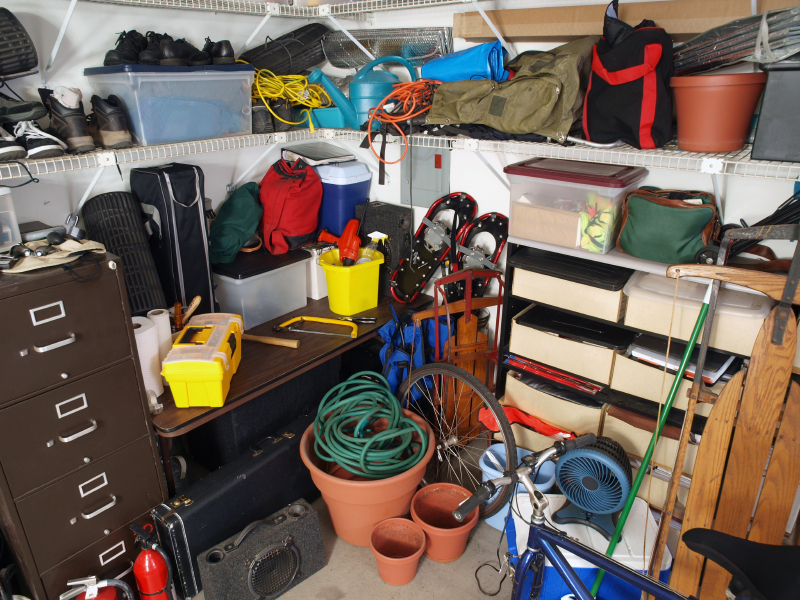 Be aware that there are things you should not store in your garage. Doing so could lead to an expensive mess to clean up. Here are a few common items that people store in their garages – but shouldn’t. Food: There are people who use plenty of coupons specifically so they can afford to create their own stash. The purpose is to save as much money as possible. Unfortunately, many decide to store their stash in their garage. It is never a good idea to store food – people food, or pet food – in a garage. Animals may be attracted to the food you store in your garage. Mice, rats, raccoons, and stray pets can rip open the packages and spread food all over the place. Perishable food can go bad if it is not stored properly. The temperature in your garage could become too hot, or too cold, for the food you have stored there. If your stash goes bad before you can use it, you will have to throw it away and waste money! Cardboard: It can be tempting to store the cardboard boxes that you used when you moved in. People figure there is a chance they might need them again. This often leads to people using the cardboard boxes to store all manner of things in. The problem with doing this is that cardboard boxes tend to attract insects. Insects and spiders often think that cardboard boxes are a great place to live. They can damage the box and the items that are stored inside it. If you must store non-perishable, non-fragile items in your garage, make an investment in plastic tubs with sealable lids. This will protect the stuff you want to store inside a box. 7-Eleven announced that is will accept payment from customers via Apple Pay and Google Pay. It already accepts Samsung Pay. This means 7-Eleven customers in the United States can pay by using their smartphone. Apple Pay users will continue to receive all the rewards and benefits offered by credit and debit cards in 7-Eleven stores. 7Rewards: is 7-Eleven’s loyalty program app. It is free to download. Scan the 7-Eleven app in store with each purchase. Doing so earns you some points. Redeem your points for items at 7-Eleven. You can earn bonus points faster when you buy select snacks, drinks, and other items in store. The app also gives customers who buy six qualifying cups (beverages) the seventh cup for free. 7-Eleven NOW: is 7-Eleven’s smartphone app that is currently being rolled out in the United States. It enables on-demand ordering of products from local 7-Eleven stores, and offers Apple pay as a payment option. Amazon: The in-store package pickup service, Amazon Locker, is in approximately 1,100 7-Eleven stores. This means you can use Amazon Locker and have your purchase sent to the nearest 7-Eleven (that is participating in this offer). Amazon Cash may be used at more than 8,000 7-Eleven locations. BillPay: An app powered by PayNearMe enables users to pay a variety of bills at participating 7-Eleven stores. TransAct by 7-Eleven: is a reloadable, prepaid card that enables people to have their paycheck or government benefits loaded up to 2 days faster with direct deposit. It also lets people add another person to their Card Account and share funds with a secondary cardholder. With Mobile Check Load, you can load funds to your account using the camera on your iPhone or Android smartphone. People who are trying to stay within their budgets are going to have to limit their spending. It doesn’t sound like fun. Fortunately, there are many frugal entertainment options to choose from. Need something to read, but don’t have the money for new books? Visit the library! It’s a great place to find interesting books. Unlike bookstores, libraries are happy to have people quietly sit and read. Libraries also offer newspapers and magazines. Many libraries allow patrons to check out physical books and ebooks. Some offer videos as well. 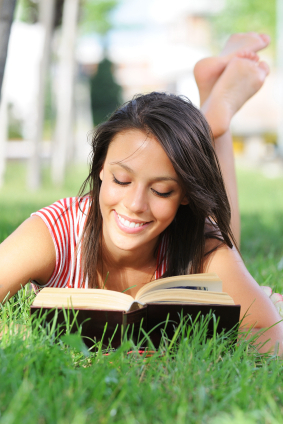 People who love to read have a tendency to buy tons of books. They end up with piles of books that they intend to read…. someday. If they are trying to save money, then “someday” is now! It can be very satisfying to check books off a “to read” list. Do you currently subscribe to a video streaming service like Netflix or Hulu? That subscription costs money. Get the most from your dollar by making time to watch the movies and TV shows that you are already paying for. It’s much less expensive than going to the movie theater. Even better, you can eat and drink whatever you want to while sitting on your comfortable couch. Families can grab some board games and make a family game night. It’s a good way to make use of games that haven’t been played in a while. Another option is to go outside together and play baseball or basketball. Video games, especially ones that have already been purchased or subscribed to, are another great option. Too tired to play a game? Try watching one. Tune in when your favorite sports team is on TV. Or, check out Twitch or YouTube for some video game live streaming. There are plenty to choose from. People who love to shop are going to want to continue that activity even when they are trying to save money. The most frugal way to shop is to visit thrift stores. Most communities have at least one or two to shop at. It is possible to buy a lot of things at thrift stores for a little bit of money. College is expensive. Tuition, classes, and textbooks all cost a lot of money. Students have to figure out how to pay for food and housing and how to fit a part-time job around school. In the end, there will be a huge student loan to pay off. It’s a good idea to be frugal. 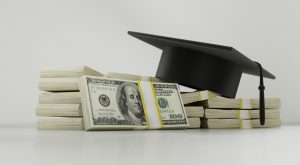 Here are some ways for students to save money in college. Don’t purchase brand new appliances while living in a dorm or apartment. The less expensive option is to rent a microwave, mini-fridge, or air conditioner. Search the local area for appliance rental places that cater to college students. Don’t forget to compare prices! It might be possible to rent the textbooks your classes require. Some good places to start are Amazon, Chegg, and Barnes & Noble. Find out if the local library carries the edition of the textbook you need. It may be possible to borrow it. Many colleges and universities allow students to “test out” of some college courses. The student takes a test on the content that course would teach. If the student passes the test, they are given credit for completing that course. The student will have to pay for the test. It’s worth it because paying for the class and the required textbooks will be much more expensive than the test. Tuition covers more than a dorm room. It can also include access to the campus gym. Students might be able to attend concerts and speaking events for free on campus. Sporting events may be free for currently enrolled students. Take advantage of this! Use the campus gym for free instead of paying for a membership at an off-campus gym. Attend the free concerts. Go to the game and cheer for your school’s sports team. These freebies can keep you entertained and help you save money. Students who live in dorms may be eligible for a meal plan. It is often included in tuition. All the student has to do is arrive at the cafeteria and show proof that they are a student. Nobody enjoys getting stuck with a huge car repair bill. It can be hard to fit unexpected expenses into your budget. Fortunately, there are ways to save money on car repairs. AAA recommends drivers do regular maintenance on their cars. Doing so can extend the life of the components in the car. Simple repairs like getting the oil changed can help keep the car running smoothly. Cleaning your wiper blades can help keep debris from scratching the windshield. 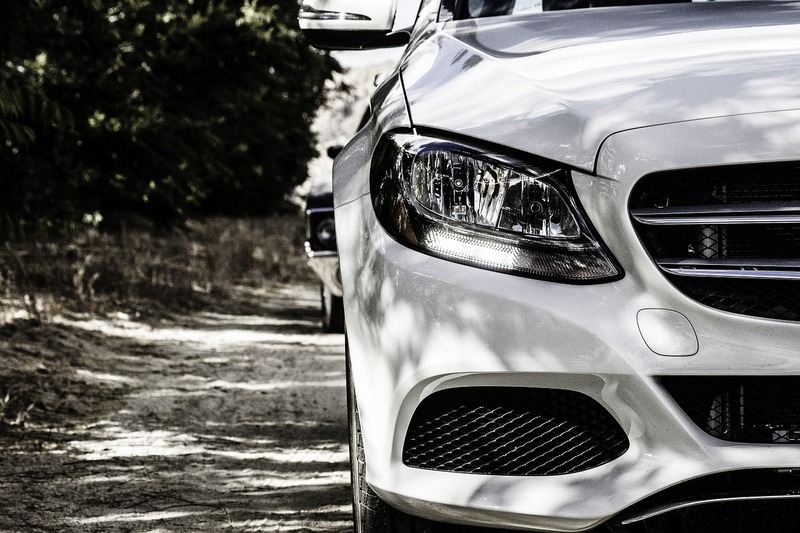 Regular maintenance can help drivers identify problems while they are still small. It is going to be less expensive to take care of a little problem than a big one. In other words, regular maintenance is preventative care for your car. Market Watch says drivers should buy parts online rather than allowing the dealership to buy them. Some dealerships will markup the price on the auto parts that your car needs repaired. Consumers who know what to look for might be able to buy the same part for less money by purchasing it online. The Nest suggests that drivers create a car maintenance fund. Start setting aside money so that it will be ready to pay for maintenance and repairs. The Nest recommends that drivers put maintenance funds into a savings account and avoid borrowing from them. 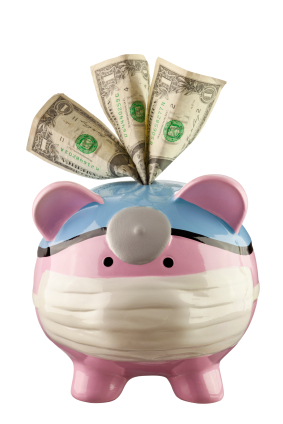 Setting aside money for repairs can prevent expensive problems. It enables drivers to avoid having to use their credit cards to pay for the repair, and prevents the worry of being able to pay it down. 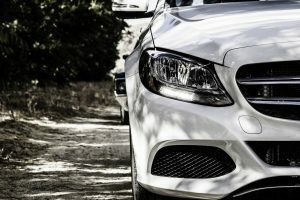 It also means the driver will not need to take out a loan. State Farm emphasizes that drivers should ask the mechanic for a copy of the estimate. Make sure the estimate is signed and includes all parts and labor totals. It is a good idea to go line by line with the mechanic and have them explain it. Find out if the repairs on the estimate are recommended or if they are essential. Repairs that are not essential could potentially wait until later. Knocking those off the estimate can save you money. Sears will be closing 46 more Sears and Kmart stores. This follows the more than 100 stores that Sears Holding shut down in January of 2018, and the 100 or so stores it shut down in May. These closures may result in changing how and where you shop in the upcoming holiday season. Here are some tips for coping if your local Sears or Kmart will close before Christmas. It can be risky to put something on layaway in stores that are closing. There’s a chance that the layaway deal you paid for could abruptly end if the store ends up closing sooner than expected. You could end up paying for layaway and not being able to access the items you were trying to save. There is also a possibility that a store that is closing may have already stopped offering layaway. If you see something you want to buy while shopping – purchase it right away. If it’s not in your budget, then it might be best to buy the same item from a different department store that is still offering layaway. Many people grew up pouring over the Sears catalog that arrived by mail during the holidays. It was a huge, fat, catalog filled with the hottest toys of the season. It seems unlikely that Sears will publish their catalog this year. An alternative catalog might be found online at the Sears website. Amazon typically has special offers during the holiday season. Kohl’s and Target might print advertisements that function sort of like the Sears catalog did (but in a smaller format). Stores that are in the process of closing need to liquidate their stock. These stores may have sales that you won’t find in the stores that are going to remain active and open. Shop wisely! Check the item to make sure it is in good condition. Don’t be tempted to buy things that you don’t need just because they are on sale. The new school year is starting and parents have to find a way to ensure that their kids will have a healthy lunch while they are at school. There are ways to do that and save money on school lunches. Try some of these ideas! The National School Lunch Program (NSLP) was started in 1946 under President Harry Truman. It is a federally assisted meal program operating in public and nonprofit private schools and residential child care institutions. It provides nutritionally balanced, low-cost or free lunches to children each school day. Parents can check the NSLP for this year’s eligibility requirements. Those requirements can change from one school year to the next. In general, the parent’s income is considered (including whatever public assistance benefits they receive). The total income limit tends to be higher the more children that are in a family. 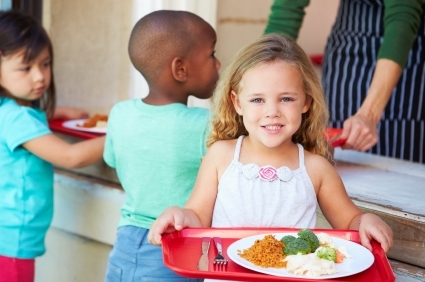 Your kids could qualify for free or reduced cost school lunch. Your dollars can go farther if you purchase food in bulk. Buy a bag of oranges instead of individual ones. Pre-cut them for your kid’s lunch. Get a bag of grapes instead of individual packages of raisins. Buy whole carrots and cut them into small pieces instead of buying pre-cut carrots. This strategy cuts down the cost of a school lunch. It also stops food waste. Kids are more likely to eat fruit or vegetables when it is already cut up for them than if they are presented with a whole piece of produce. Does your child want a muffin or cookies in their lunch? Bake your own! The cost of the ingredients will likely be less than the cost of a box of cookies or muffins at the store. Baking your own pastries allows you to control what ingredients are in these snacks and ensures that each of your kids will get the same amount. Clean water is the healthiest choice of drink for all humans. Our bodies need a constant supply of water in order to stay hydrated. Buy a small, reusable, water bottle for your child’s lunch bag. Or, use the bottle that comes in your child’s lunchbox. Fill it with clean, filtered, water from your home. If that’s not an option, buy large bottles of water and pour some into your child’s reusable water bottle every day for them to take to school. Many schools allow kids to keep a bottle of water at their desks during the school day.